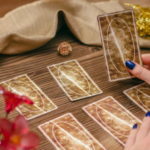 As a Tarot reader, I’ve found the most popular questions people ask are about relationships. While the majority of clients are questioning the status of romantic relationships, there are those who also ask questions concerning the status of friendships and family relationships. Often times, the questioner is so focused on the status of the relationships or trying to fix problems that they’re missing the Universe’s not-so-subtle cue to pull back, retreat, draw within and spend some time focusing on the self. They could be telling you it’s time to move on. 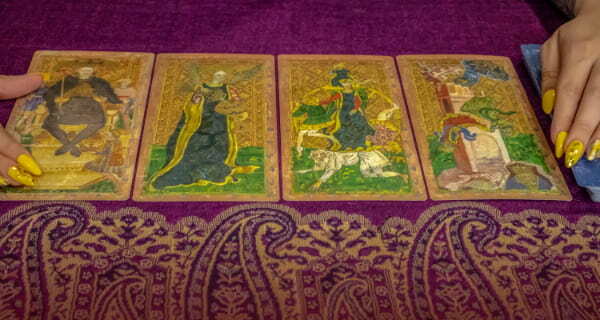 Get your detailed Tarot reading today! Click here to learn more about Psychic Bastet! While the expression “beating a dead horse” is brutal, it truly does paint an accurate picture of what a person is doing when they’re trying to fix a broken relationship no matter how badly fractured or potentially unhealthy the situation might be. Denial, anger, emotional pain and grief can make it difficult for a person to move forward when a relationship concludes. However, trying to revive a relationship where the love connection or attraction has ended for at least one party is like trying to resurrect the dead. When making an effort to fix a relationship that’s clearly over for one party, the person trying to bring the relationship back to life will only become even more frustrated, saddened and depressed. These negative emotions perpetuate a vicious cycle where one person tries different methods to bring a person back to their lives, or dreams up a means of making the relationship they once had a reality again. Such thoughts can become obsessive and can blind the individual to the clearest way forward. It’s easy to tell someone to just “get over it” following a bad breakup or the ending of a long-time friendship or romantic relationship. However, fulfilling that order is another story. It takes a lot of time to mend a broken heart and to restore one’s sense of confidence in order to trust in the world again. Just because it’s time to move on, it doesn’t mean moving on will be easy. The individual is likely to get through the issue—not over it—but there will be no getting through anything until the person is ready to move on and forward. 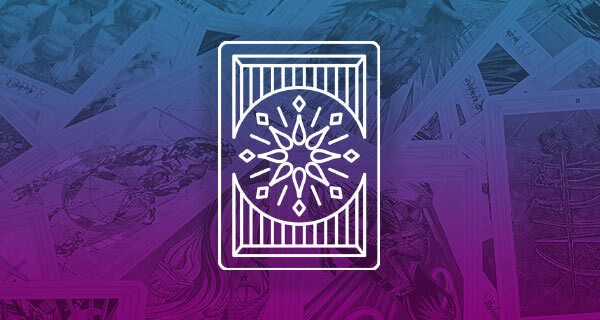 In a Tarot reading, the cards often suggest to the brokenhearted it’s time to move on. The transition into a new life path is one achieved by a period of rest and self-reflection. Two common cards that appear in a reading suggesting it’s time for a period of rest and self-reflection are the Four of Swords and The Hermit. The subtle message of these two cards provides the insight one must adhere to if they are going to move beyond this dark, emotional period. The Four of Swords often suggests that one call a truce, or that the questioner end the fight and take stock of the situation. This card hints that a resting period is needed before moving forward—a time where one can reflect and heal. Taking the time to heal is an important step in loving the self. The Four of Swords is a card depicting a death in a metaphorical sense, as death is merely a transition from one state to another. So when this card appears in a reading, the questioner is at the precipice of change, even if it is not immediately apparent. The Hermit is the seeker of truth discovered by the questioner who enters a period of self-exploration and contemplation. When The Hermit appears in a card reading, the questioner is encouraged to listen to the inner voice above all others, and to return one’s trust to the voice of intuition. The solitude of The Hermit is a welcoming reprieve from emotional risks. It gives the questioner time to turn his or her attentions to the self once more and to engage in a level of self-love that will ultimately help heal the injuries from lost loves and relationships. Hi Steve: I know psychic Quinn has already reached out to you, but I just wanted to let you know I noticed your reply, and I thank you for responding. I am so sorry to hear what you have gone through and I agree with Quinn that two years is, indeed a very long time to endure the emotional pain of a lost love and soulmate. I am so glad Quinn reached out to offer you guidance because what you are going through is extremely difficult to endure without the support of friends and caring individuals. There is no expiration date on the time that we grieve the loss or conclusion of a relationship, and we all have different ways of grieving. Though it might seem impossible for you to see it now, there is the possibility of love in the future. When this happens, you do not have to think of it as replacing your soulmate however. Instead, think of it as simply making room in your heart for another. The human capacity to love is an amazing thing and while it might be inconceivable to you at this point in your life, the universe might very well have something planned for you that you have no way of conceiving at this time. 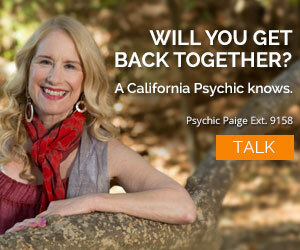 If you need further guidance I encourage you to call Quinn or any of the advisors at California Psychics. Good luck to you and blessings. I don’t know. I try so hard and try to understand his situation. He lost his father this year. They were very close. I first thought and tried to be there for him in anyway I could. He was so hateful at times I had to stay with my mother a week. Only thing is when I left he takes my car because in his name. It’s not new or anything. His excuse is in his me and his insurance is on it it too. I had no way around and been married to him 32 years. Came back tried again hoping part of ourselves back but had another bad argument and he’s I know we’re the door is but can’t take car again so friend comes gets me a few days. I start feeling bad because it’s his 1st fathers day without his dad. I try again. I can tell something is wrong and he is bad sick. Wound up having 100% blockage in heart and has to get a stint in heart and be put on allot of meds. I stay whole at hospital don’t even go home till he does. We have 2 children who are grown. Son then daughter. We have 4 grandchildren together. I do know I try harder because of that too having a family together. It just hurts that if I do least little thing even if 10 yrs ago. I got a dui on my on medication. I was going through breast cancer. Had a rough go. Had bilateral mastectomy Feb 18th2015. Had 4 surgeries after had complications. Died and and brought back on last surgery in Oct 13th 2015 they had to give me the shots put me in body warmer and in Nov 14th2015 I got pneumonia from it and spent week in hospital and almost died. I just don’t understand the way I love him and stand by him thick and thin he can’t forgive me after years AMD I have learned not drive on meds prescription. They weren’t even the strong kind give most people. I am sorry. I try He just likes to say spiteful and hurtful things to me all the time. No matter what I do I can’t win for loosing with him. I help my parents my kids grandchildren and friends. Only couple of friends I have. I’ve known one friend for 10 yrs give or take. We’ve always just been friends but he gets mad that I get treated this way and go back. Also tho in last few months I think my friend has feelings for me other than just a friend. So I don’t know about this or what to do. He kinda seems controlling at times but says he just worries for me and cares about me getting hurt. My daughter is very controlling with me too and has caused us to get into it also because she’s afraid I guess I will leave her dad. She don’t want me to have friends especially the one I’m explaining. He’s dated women around me and we’ve always just remained friends and he talks about trying to find a good women. He don’t believe in dating a married woman but in the last few months like I said he seems to have more feeling GA for me then normal. I just don’t think we could ever have a relationship tho. Something tells I’d b better off even if me and my husband doesn’t make it that we would not b a good couple. He’s very good to me talks to me worries over me but I have a family too and I don’t know if he would be understanding that I would still need to help them and spend time with them that I can’t just give all my time to him. I don’t know exactly what I’m asking I ki do know in my mind I’ve tried so hard and don’t get no were but I’m scared of change. I got married at 15 yrs old and am now 48 yrs old. Being married to my husband is all I know. I love very deeply. Even if we were to divorce I’d love him I died. So. Is there any help for me? Thanks for responding to the blog. First, before I even begin to attempt to address what you have shared here, let me first share my empathy and understanding with you and all you have endured or are still going through. I’m impressed at your personal strength and fortitude. You carry on, despite all that happens, and still look to find the answers you need to try to address your dilemmas – be extremely proud of yourself for standing strong in the face of so much adversity. I apologize for the delayed response to your question. The delay, in part is because the issues you write about are so complex, I wanted to really to give additional consideration to responding. The way you write about your life circumstances, you remind me of The Empress of the tarot – the nurturer, and the one who takes care of everyone. The Empress is the mother figure and you seem to have a strong desire to be a pillar of support for others, even if it puts you in an emotionally vulnerable position: This is even more true when we think about the card and how it depicts The Empress is ruled by Venus: the Love Goddess. If we look at this in light of some of your current situations, we see what happens when you attempt to remedy everything for everyone you care about and when you alone try to fix all problems in a situation. You give so much of yourself without expectation in return, and that can be wonderful, but it can also drain you personally – All giving and no receiving in return eventually wipes out all you have to give. As nice as it would be if we could get people to treat us with respect and to honor us simply because we love them, sometimes, we cannot help everyone else, and the only real person we can help is ourselves. From what you’ve shared with me here, it seems you go through cycles of feeling guilty and explaining away otherwise clearly unacceptable behavior. With your husband losing his father, I am so sorry for the loss – losing a parent is one of the most difficult things a person can endure. I can see your need to nurture him through this time, and I can understand his behavior in terms of striking out in anger, but he needs to funnel his anger in a more productive direction and not at you. When you would leave to see your mother or stay with a friend a few days, and he starts to take the vehicle from you, this gives cause for concern; it appears as if there is a power play at hand and an attempt to force your hand or isolate you. There are a number of things you convey in your reply that serve as potential alarms for abusive behavior, and if that’s the case, you cannot fix anyone’s behavior but your own. It might be a good idea for you to get in touch with an organization that can provide you with some solid advice about what direction to take and the support you need through this difficult time. I am not sure where you reside, but if you live in the United States, you can access the National Domestic Violence line at 1-800-799-SAFE (7233). 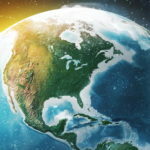 If you reside outside the boundaries of the US, a similar organization or agency might be available. 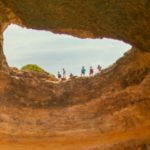 In the meantime, I would simply remain friends with your friend – it is nice to have someone who cares about you, but you’ll need to handle your existing relationships, not just with your family, but your relationship with yourself as well, before you can fairly and wisely move to other possibilities. Yes there is hope for you, all you have to do is reach out and grab the rope! 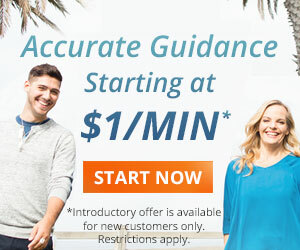 If you ever feel the need for additional insight or guidance, don’t hesitate to call. I wish you well and hope things work out for you! Before you say it can’t or it won’t perhaps give it a try. You might think you are a positive person at heart yet your statement is not a positive one and what we think most is what happens in life. Two years is a long time to hold on. It is said that it takes one month for each year you are with someone to move past the pain. I talk to hurt people everyday helping them grow and move forward in life in order to be happy even if they are single. Sometimes people we are in love with pass away – sometimes they walk out the door – sometimes we walk out the door. Relationships have lifespans just like people do. It is a karmic thing. It can be a wonderful thing being free, being single. I get you love deeply and are hurt to the core of your heart chakra. I hope you try even a little to work on the method I have shared and that a new and wonderful relationship comes to you and all the pain of the past is washed away. Steve – you can always call me, I would be honored to help you on your quest for happiness. Should I move on from my ten year Romance ?? He won’t stop the drinking that caused us problems to begin with ! He moved back with his family and his father died ! Now he says he can only be with me on Saturday nights for awhile, after we lived together Ten years !! He says he can’t leave his mother to long he worries !! Lots of other family member’s !! I can’t do 52 vistes a year !! Im saddened by this !! Help me ??? My parents are old to I’m scared ! I truly want someone to grow old with ?? First, let me say thanks for responding and allow me to express how sorry I am you are going through such an emotionally troublesome situation. Ten years is, indeed, a long time to be with someone and there is no doubt you have so much emotionally invested into the relationship. In this situation, you may be far better off if you cut off our romance with the man you have been with – I know this sounds harsh but in your heart of hearts already, things are unacceptable. Believe me; I sympathize with him for the loss of his father and worrying about his mother, but what about the responsibility he has, not just to you, but to himself as well. You noted that his drinking caused you problems ten years ago and it is doing so again. There is a long history between the two of you that is an indication of the direction of this relationship. I also sympathize that you are worried about your parents – it shows me just how much emotional struggle you are going through with little to no partner’s support. If you really want someone to grow old with, you cannot change your partner now. You can make a recommendation to see if he will address his drinking issues, but if he continues as he has done in the past, can you really see yourself living the rest of your life with him? If not, then you might want to consider alternative options and to pursue other relationship possibilities. 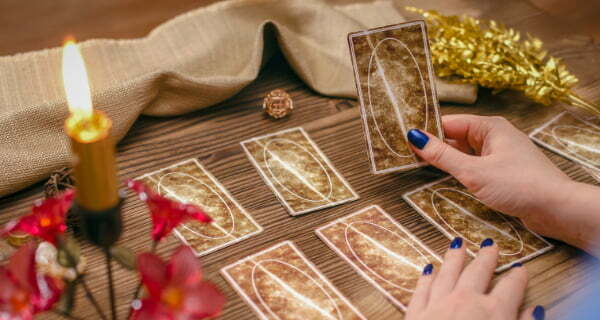 A reading with any California Psychic may provide you with additional insight on the good course of action to take. I wish you the best. Take care, and blessings. You are correct in that letting go of relationships can be very difficult and not realizing the signs can slow the process down of moving forward with someone who is more suited for you long term. As you were saying about the Hermit (who is in the Virgo) your wisdom is encouraging in that one must listen to oneself and with the precise energy the Hermit allows us to look inward, the answers are there. Hi Psychic Quinn: Thanks so much for your kind feedback. Your advice to your clients is wise and so perfectly stated. I agree with you in terms of the need to love yourself when moving on from a relationship that has come to an undesired end for whatever reason. In loving yourself, and dedicating time to healing and reestablishing inner strength, confidence, and self-esteem, you can begin to reclaim a state of independence with greater success and this frees you to focus on your future. I also believe that cutting all contact is excellent advice as this can play havoc with a person’s emotions: Even if you say you “just want to be friends,” it is a good idea to cut off contact, at least initially, as it allows time for healing. In absence of healing, the individual may be vulnerable – it is all too easy to begin the process of self-denial, all the while stating that the only pursuit is a lasting friendship, when the heart wants so much more. When the feelings go unreciprocated, it might leave the individual wrapped up in fantasies of relationship recovery, emotionally distraught, or both. To remain in contact can sometimes equate to self-inflicted emotional torture. Of course, there are times when walking away entirely is just not possible (such as when the parents of a child divorce). When a clean disconnect from a former love or spouse cannot happen, learning how to keep the peace and to minimize contact with one another may be the best way through some emotionally difficult moments.